Bethel Arts and the Southland Symphony present an AMAZING concert! 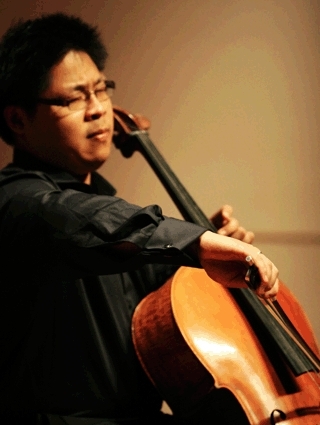 Acclaimed cellist Xian Zhuo headlines with the Southland Symphony's June 24th concert featuring music of Tchaikovsky and Sibelius at 7:30pm on Sunday June 24th, 2012 at Bethel United Church of Christ (Congregational) in Ontario, California. June 19, 2012 - PRLog -- Under the direction of award-winning conductor Sylvia Lee Mann, the Southland Symphony presents an exciting concert featuring the music of Tchaikovsky and Sibelius. Special guest soloist, Xian Zhuo, will be featured in the ever popular "Variations on a Rococo Theme" of Tchaikovsky. Born in Xiamen, China, XIAN ZHUO received his professional education at the University of Southern California, Yale University, the Royal Northern College of Music and Shanghai Conservatory. He has performed as concerto soloist, recitalist and chamber musician in England, France, Germany, Norway, South Korea, China, Canada and the United States. His teachers include RALPH KIRSHBAUM, NATHANIEL ROSEN, ALDO PARISOT, MSTISLAV ROSTROPOVICH, YO-YO MA, TRULS M?RK, LIWEI QIN, ELEONORE SCHOENFELD and MEI-JUAN LIU. Winner of the China National Competition, Xian is one of the most impressive cellists to emerge from China, combining Russian-style virtuosity with the subtle nuances, color and sensitivity associated with his native China. He has shared the stage with MSTISLAV ROSTROPOVICH and SEIJI OZAWA. His goal is to share the beautiful musical fabric that he creates with audiences throughout the world. Enjoy a brief sample of Xian's performance of the Tchaikovsky. This video is from his performance at the XXXVIII Concurso Musical Dr. Luis Sigall 2011, a prestigious international competition in Chile, at which Xian was awarded the First Prize. Sunday June 24th, 2012 at 7:30pm at Bethel United Church of Christ, 536 N Euclid Ave, Ontario, California 91762. Bethel offers "A Service of Love"